What an amazing period if time you are in the middle of right now. All that you have witnessed the last few years was just the rehearsal for this phase of transformation to finally happen. I know it can be challenging and it is challenging from time to time. Your sensitivity grows to the highest while the disturbing physical manifestations around move toward the extreme. This indeed can cause severe discomfort. And I have not even mentioned those stellar energy arrivals, those very powerful waves of Source Energy emanating from and through the Sun that also influence your physical structure to the fullest. 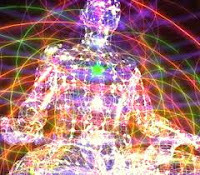 By physical structure I do not mean only your physical body but also the whole physical matrix which reacts immediately to all the arriving signals from the outer world. You are blessed with all the experiences. You are prepared for all of them. 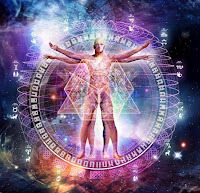 All the upcoming events will have one and only one divine aim, to reawaken your senses to their divine origin, to move your whole being to the point to recognize your full divine power and authority. You are the one who can protect yourself, your loved ones and your own reality from all the unpleasant potential happenings. You have the power to alter anything you do not wish to greet in your reality. The Mastery of Interaction can be fully realized when there is no longer any intention to use it. That is the biggest secret of co-creation. You have all the power to influence things but when you really gain access to the ‘know-how’ you will not want to use it anymore. Divine perfection weaves through everything when you accept this point of view. Divine presence creates harmony. That is the only tool you wish to use. This will attract harmony and this is the means by which you can experience the long awaited flow of perfection in everything. All the very intense astrological alignments refined this year will enhance your own conscious presence in this flow. Here is a beautiful interaction between you and the surrounding Cosmos. The more awareness you can bring into your days, more meaningful can become every single happening around and within you. And, when your preparation is complete, the planetary and cosmic forces can enter smoothly to pave the way forward. Or you could be empowered to perceive them as the greatest gift. Because, at the end of the day, indeed all of them can wear the tag: Gift from Heaven. This March/April/May has the greatest potential to maximally activate your dormant abilities. You are Divine in every single cell of yours being. 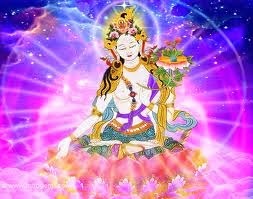 This Divinity is awakened by these celestial happenings. Feel your vivid grandness. Feel as your cells are transforming. Your eternal wisdom is running through your veins. This is the period of this special year that teaches us to use our new tools. The Sun provides the most important element, the transforming codes for your DNA. This early time is the best to sense our loving presence around you. This intense period of time makes our reconnection so much easier. The veil is getting thinner. 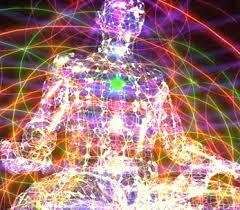 The 5th dimension is now within your physical sight. Or rather to say your eyes are at the vibratory border to sense the higher dimensions…You can create your sacred space with this morning conversation ritual. On behalf of the Lemurians in Mt. Shasta I rejoice that this moment in linear time is finally happening. These intense spring energies will bring our reconnection closer then ever since the demise of our beloved continent. We are here with our patience, wisdom and love. We are there in your morning rituals. The deeper interactions you can be initiated with the sacred water element of your body, the more intensly our presence can be detected around you. Hearts talking to Hearts while the waters create the bridges. There is so much to share. There is an energy field over the Pacific, the template of the Ancient Crystalline Continent, Lemuria. This ancient template is ready to return by the conscious invitation of the human Hearts… Sacred waters of your body attract the sacred water of the Pacific. 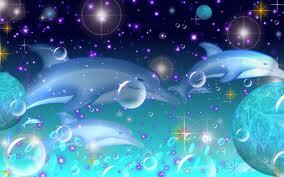 This interaction called a unified field of unconditional love is forming the Crystalline Heart of the Pacific. This new template can and will form over the Pacific. It is forming a visible crystalline temple over Haleakala, the dormant volcano of Maui which later can cover the entire planet. Why Haleakala… Take a look at her features, she is ready to emanate the ancient love for the open hearted seekers the same way she did in the time of Lemuria. 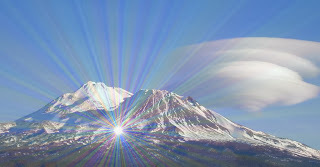 Yes indeed this mountain is the very last physical abode of our long flourishing, magnificent world of pure love. This mountain was the home of the very first temple of MU, the temple of the pure love arriving straight from the Source, through the Heart of the Galaxy. The core vibration of this ancient center was the one that formed the entire Lemurian Civilization. This center is ready to send its signal back to the newly activated Crystalline Grid. This center is ready to shine with her ancient luminosity, love, wisdom and majesty. Her light can enlighten the deepest part of our hearts including ALL the memories of our beloved planet. 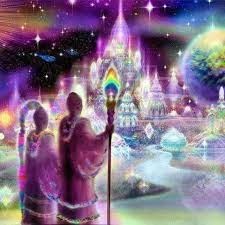 This full access to the history and memory of the planet is the primary condition to gain full access to our personal ascension codes. Yes there were times when this access was shot down, even erased from the Akasha of the planet. But there is no full recovery without knowing what the patient needs to be healed from. You need to remember, not on a conscious level at first, but your cells need to remember being able to fully complete the most beautiful process of ascension on this planet in these physical coordinates. As the memory codes open their wisdom, they will bring great realizations regarding your personal mission in this universal process. You are chosen to help this planet, your are chosen to bring alive the fullest spectrum of LOVE that Life can manifest in physical reality. This retuning pure love-based existence is what we are all here to protect. That will be the NEW crystalline gem of planet Earth in her full loving regalia. This retuning heartbeat will help create our New Earth. This crystalline temple will help form our new common reality. The memories of or past can bring alive the Wisdom of the Ancients. The Love of our planet gives birth to our new common existence in the physical reality. Your actual interaction with your own sacred water in your body brings into existence the crystalline grid of the Pacific, the homeland of Mother Earth. The homeland of the Universal Mother called MU for eons of time. MU - feel the re-awakening gentle tone in your heart. Yes this story began a really long time ago measured in hundreds of million years. But your conscious presence will bring its long awaited completion… Feel... as your body knows all the wisdom you are ready to consciously remember. Talk to your cells and listen to the ancient Wisdom of MU singing her eternal love song to your heart. We are indeed One in our Heart,Wisdom and Water.